Providence, RI – Rhode Island Reds have chosen Admiral® to be the club’s official sportswear and technical kit supplier. The semi-professional men’s team play in the Atlantic Conference of the National Premier Soccer League, the 4th tier of the US soccer pyramid, one of the largest leagues in the United States with over 70 men’s teams. Admiral, the world’s oldest British football brand, supplied kits in the 1970s and 1980s for the English national team and Manchester United. The brand has a long history in the United States as well, having supplied kits for the Tampa Bay Rowdies, New York Cosmos, Rochester Lancers and Vancouver Whitecaps in the original North American Soccer League (NASL). Today the brand is also worn by the 2012 NASL Champions Tampa Bay Rowdies and last years 2011 NASL Champions the Minnesota Stars as well as Caribbean Champions the Puerto Rico Islanders. 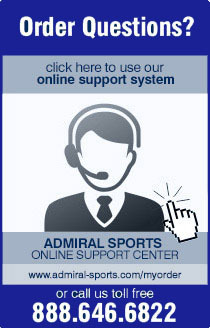 Admiral supplies many NPSL teams, youth teams and associations throughout the USA. Rhode Island Reds will unveil their new Admiral kits to fans and media in April. For more information on the Rhode Island Reds including sponsorships, internships, tickets or to volunteer, visit : http://www.rhodeislandredsfc.com or contact Kabba Joof, Head Coach, kjoof@rhodeislandredsfc.com, (401) 300-4598.